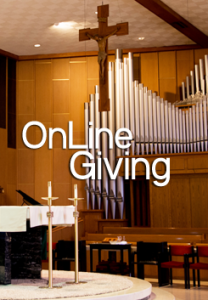 Online giving allows your contributions to Saint Christine Church to be automatically taken from your account and deposited into the parish’s account at Farmers National Bank. Your contribution will be deposited to the Saint Christine Account weekly or monthly, as you desire. You will be given credit at the parish. You will not need to use an envelope, but if you wish to, you simply write on the envelope “give electronically” and drop it in the collection basket.